On December 23rd, 1972 the Steelers trailed the Raiders 7-6 in their AFC divisional playoff game, facing fourth-and-10 on their own 40-yard line with 22 seconds remaining in the game and no time-outs. Terry Bradshaw was under tremendous pressure from the defense as he launched the ball down the field. 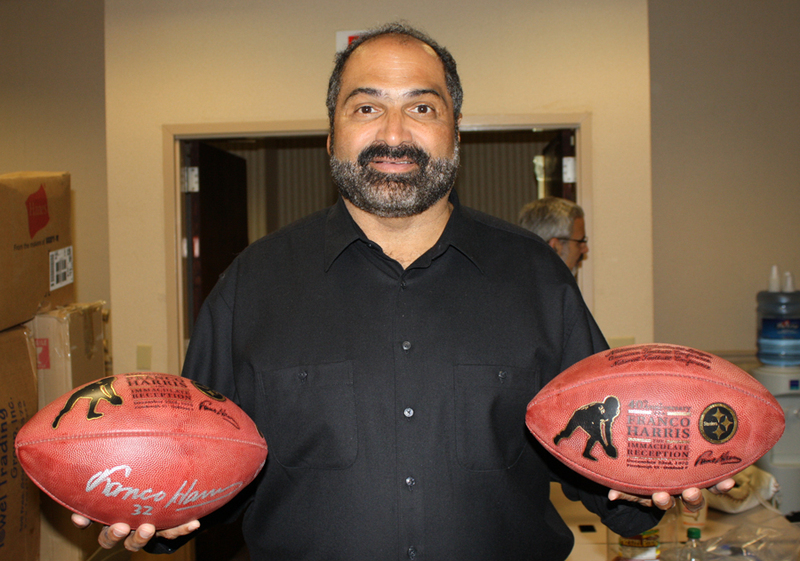 Franco Harris caught the deflected pass with the tips of his fingers, just inches from the ground, and raced 42 yards for the winning touchdown for what many consider to be the greatest play in NFL history. The Immaculate Reception, and a new era of Steelers football, was born. TSE has chosen what NFL Films calls "The Greatest Play in NFL History" as the theme for our second exclusive limited edition signature series Wilson Authentic Football. December 23, 2012 will mark the 40th Anniversary of the Immaculate Reception, a play that Steeler Fans will never forget! 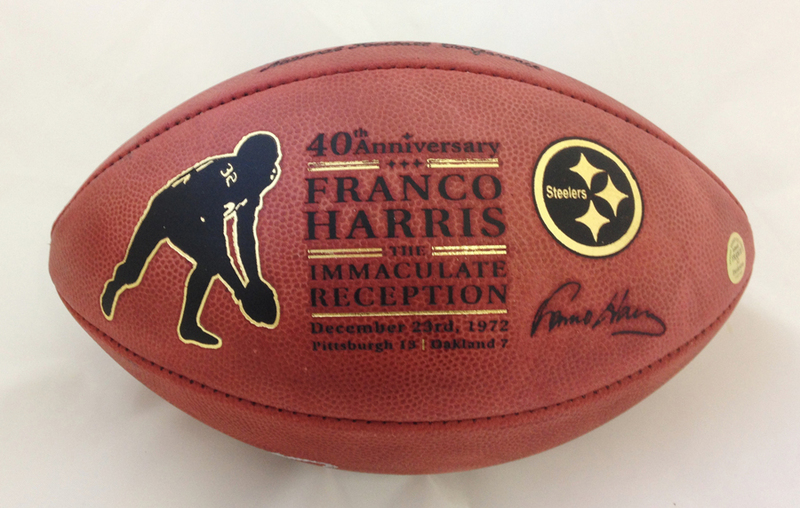 HOF Steeler Legend Franco Harris has autographed ONLY 72 of these Officially Licensed, Limited Edition Footballs, Commemorating the 40th Anniversary of the Immaculate Reception. 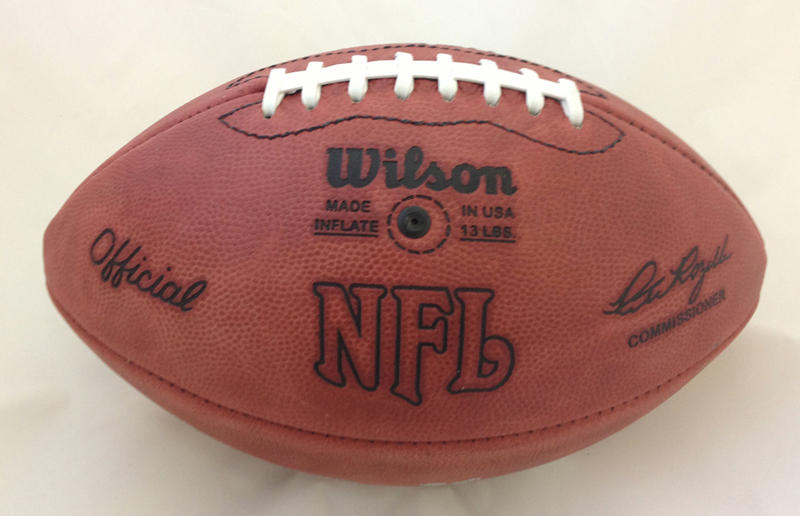 These authentic Wilson NFL footballs, the very same footballs used in 1972 when Franco made his miraculous catch, are hand-numbered out of 72, and are available only from TSE, the Exlusive Memorabilia Company for Franco and other Steeler greats. 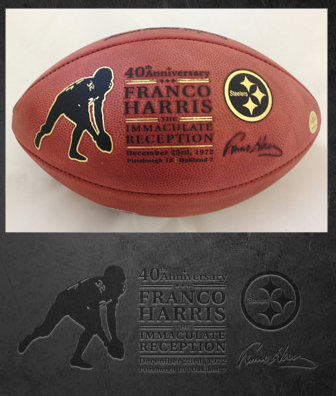 Each football will come with photos of Franco signing the footballs, as well as a Letter of Authenticity that will have Franco's signature on it. 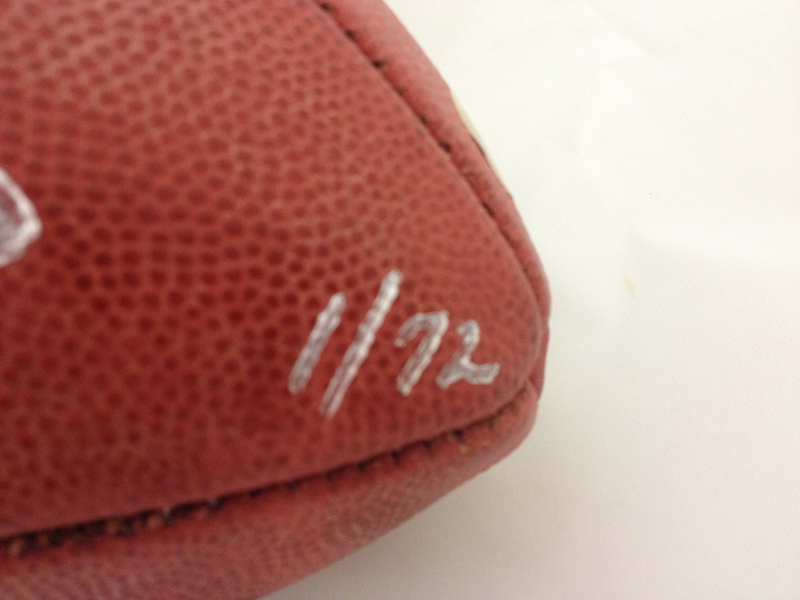 There are only 72 of these autographed footballs in existence, and one of them can be yours! Sorry, But Number "32 Of 72" Is Not Available - Franco Wanted That Ball For His Personal Collection! This Item Is Sure To Sell Out Quickly - Order Yours Today! 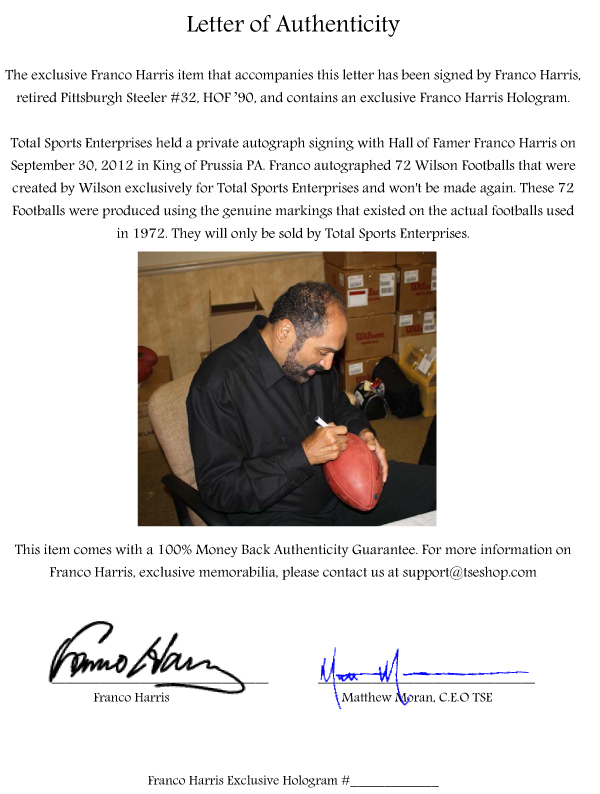 Total Sports Enteprises is the Exclusive Memorabilia company of Hines Ward, Mike Wallace, Rocky Bleier, Franco Harris, and Lawrence Timmons. 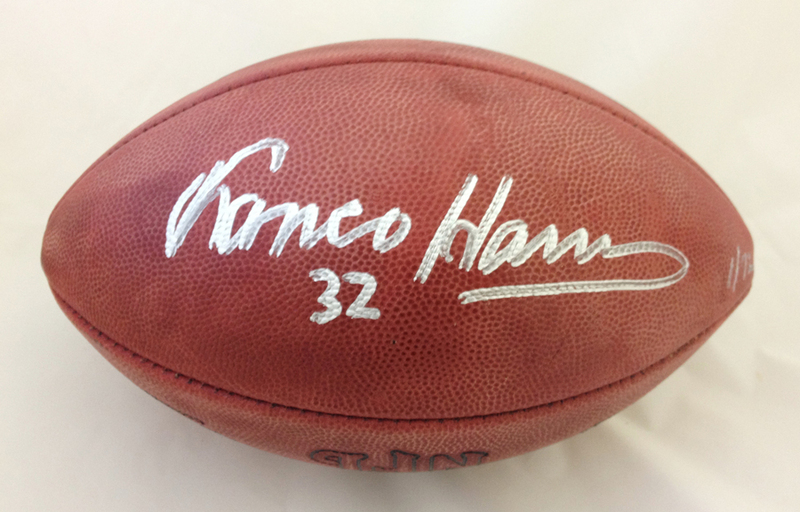 We have Exclusive One of a Kind Autographed Items from Troy Polamalu, Jerome Bettis, Antonio Brown, Ben Roethlisberger and many others.